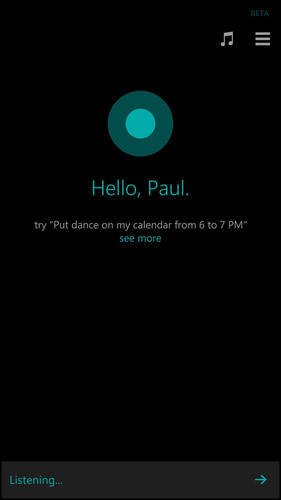 You can still get Cortana, even if your carrier has block/not rolled it out, provided you can do the manual updates. Worth noting that some carriers will intentionally block the update for a while with phones already out there based on your regional settings, this is so they can sell the new ones with it enabled as a selling point. Hence the 630 got it before you could update the 920… but as I mention you can still get it, provided you can upgrade your phone to 8.1 and relatively recent updates, newer the updates the newer the version you will get and the more “languages and accents will be supported”. you will be on the default tab “system”, swipe to the side so you are on “applications”, if it is available with your current configuration, it will be listed. Restart the phone if required. Hold down search button to start it. 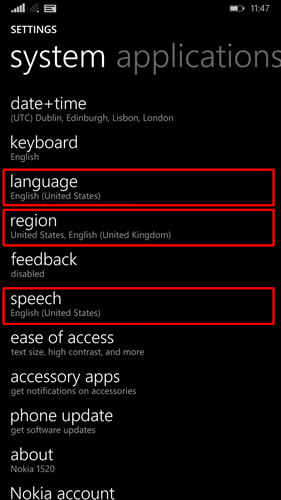 The three areas to change are “Region”, “Language” and “Speech”. Then you need to turn it on. 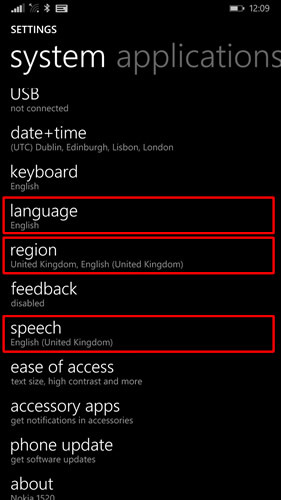 Cortana will only work if “Language” and “Speech” match and Cortana is available for that combination. Under the default tab “system” scroll down and go into “Region”. 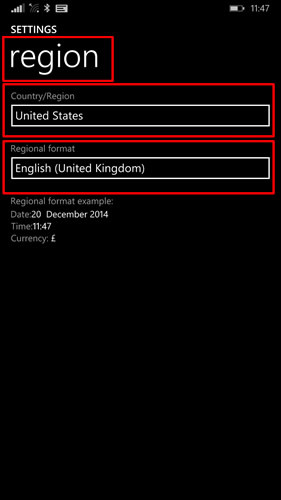 Change “country/region” to “United States” (if Cortana not available to you). Change “Regional format” to <your desired format> (for me “English (United Kingdom)”). This preserves your currency and date format. Check for any updates, and install them, restart as required. This will get Cortana and other updates if not already installed. Under the default tab “system” scroll down and go into “Language”. Change the language to match the region setting (“English (United States)”). 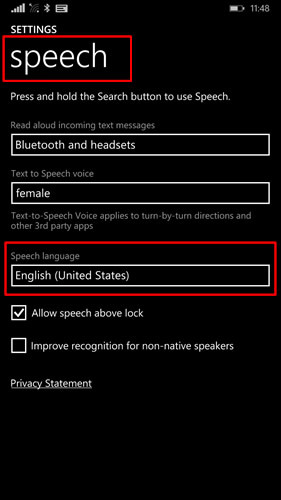 Next bit differs depending on whether Cortana is available in your local language version… including the variations in English accent and pronunciation. If it is, available in your language/accent. if available you will see Cortana at or near the top. Go back to the “system” tab. Scroll down to to “speech”. Note: Depending on your current phone setup, you may need to download, then go back into this and reselect it to get it to install, follow the prompts, reboot as required and then check for any phone updates, which will get the updated speech package which includes cortana. Make sure “speech” matches “language”. 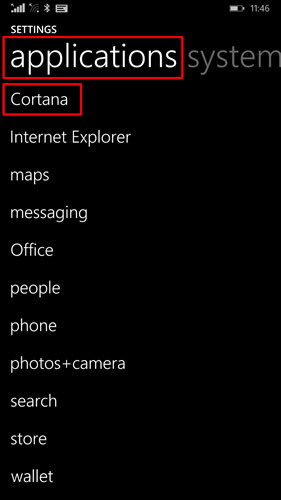 Once done with all the updates/install of language packs, as above, go into settings, swipe to side to get “applications” tab… and you will see Cortana listed… open it and switch it on. 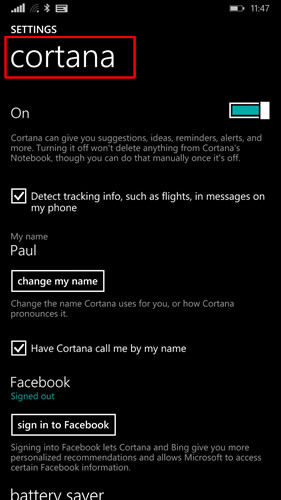 Restart phone if required, hold down search button an say hello to Cortana. This entry was posted in Cortana, Windows Phone 8.1 and tagged Cellular, Configuration, Cortana, Enabling Cortana, Language, Microsoft, Mobile Phone, Nokia, Nokia 1020, Nokia 1520, Nokia 920, Nokia Lumia, Regional Settings, Speech, Speech Recognition, Voice Recognition, Windows Phone, Windows Phone 8.1 by Paul Bunting. Bookmark the permalink.